Cockroaches are among the most hated insects. Their presence in the home is offensive and implies uncleanliness. Cockroaches contaminate food and leave an unpleasant odor. They also can transmit diseases. Most cockroaches are tropical or sub-tropical in origin and generally live outdoors.However, some species do live indoors. It is true that they thrive in dirt, trash and grime, but cockroaches can infest even clean and well-organized homes and buildings. Depending on species, cockroaches can be golden-brown, reddish-brown, lightbrown, glossy or very darkbrown, or black in color, and range from 1/2-inch to 1 3/4-inches long. Cockroaches get into buildings in infested boxes, grocery bags, beverage cartons, furniture and dried pet foods. They also enter around loose-fitting doors and windows, where electrical lines or water and steam pipes pass through walls, through sewer lines or on seasoned firewood. Most cockroaches come out only at night but may appear during the day when disturbed or where there is a heavy infestation. They prefer warm, dark, humid shelters like the kitchen sink or drain board; cracks around cabinets; window or door frames; loose baseboards or molding strips; upholstered furniture; bathrooms; and motor compartments of refrigerators, washing machines and other appliances. Know where cockroaches hide because these are the locations you must treat. Cockroaches eat different plant and animal products, including meat and grease, starchy foods, sweets, baked goods and other unprotected kitchen goods. They also feed on materials such as leather, book binding and sizing, and wallpaper paste. Use preventive measures to control cockroaches successfully. It is easier to prevent a cockroach invasion than to control an established one. Preventive measures require care, planning and continued effort to be successful. A clean home reduces the chance of cockroach infestations and the need for pesticides, but will not always prevent invasions from outside sources. Good sanitation, both indoors and outdoors, effectively limits cockroach populations. Do not leave unwashed dishes, kitchen utensils and uncovered food out overnight. Clean up all spilled liquids. Clean areas beneath cabinets, furniture, sinks, stoves and storage bins where tiny particles of food may accumulate. Keep kitchen garbage and excess trash in container sand remove them regularly. Store dry pet food away from the kitchen and other foods. If you feed pets indoors, remove the leftover foods immediately. Clean outdoor garbage cans frequently, along with platforms or slabs on which they are kept. Inspect regularly and thoroughly to locate conditions which invite cockroach invasions. Examine all known or suspected cockroach hiding places and incoming materials. Seal any cracks of 1/8 inch or more in the foundation and exterior walls. Check the caulking around air conditioning units, windows, doors, pipes or other openings into the home. Repair cracks and holes in floors, walls and ceilings. Seal openings around plumbing fixtures, furnace flues, electrical outlets, windowsills and walls, and along baseboards and ceiling moldings. Repair leaky water faucets and pipes. Trapping can reveal the hiding places and the seriousness of the infestation. Trapping alone will not eliminate cockroaches, but should be used with preventive measures for better results. Many inexpensive cockroach traps are available. They are easy to use, disposable and contain no toxic insecticide. Most are box shaped and coated with a very sticky adhesive inside. Some traps may also feature slow release food attractant. Cockroaches enter the trap when detecting the food odor and stick to the adhesive.Place traps where cockroaches are likely to travel. Change the trap's position if no cockroaches are caught after two or three nights.The number of traps required will depend on the kind of cockroach present and location of the infestation. To control cockroaches with insecticides, find their daytime hiding place and thoroughly treat those areas. Regardless of the insecticide chosen, chemicals placed in or near regular hiding places provide much better control than those placed where cockroaches move only occasionally. Since some cockroach species invade homes and buildings from outside, they may reinfest dwellings once the insecticide dissipates. To solve this problem, outdoor populations must also be controlled. The type of chemical selected and the application method used depend on the location and nature of the infestation. 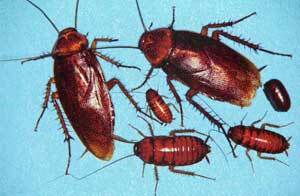 No one chemical handles all cockroach problems, but a combination of various types is effective. 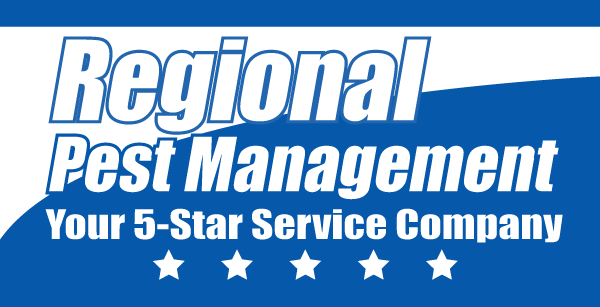 If severe or difficult cockroach infestation occur, or if you are in doubt as to proper control measures, call Jeff Hauf at Regional Pest Management: 1-800-36-5-STAR (toll-free) or 410-737-0940. Jeff and his team of professionals have the necessary equipment and training to do a safe and effective job.